The mass shooting in Newtown, Conn. has brought forth the simultaneous calls for more gun control and the defense of gun rights — the same debate that replays every time there is a mass shooting in America. Such incidents have occurred with increasing regularity during the past four years. 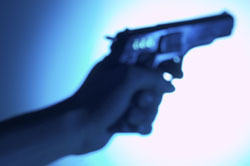 Whatever new policy that emerges in response to the recent shooting may ultimately be decided by the Supreme Court, which substantially expanded the right to bear arms in two recent cases, District of Columbia v. Heller (2008) and McDonald v. Chicago (2010). In Heller, the Court declared that the Second Amendment protects an individual right to bear arms — unconnected with service in a militia — despite the Second Amendment's first two clauses. In McDonald, the Court announced that the right to bear arms is a fundamental right that applies in all 50 states and their various municipalities. The Second Amendment previously applied only to the federal government – restricting Congress from passing laws infringing on the right to bear arms. As a result of both decisions, Congress and the state legislatures are limited in how far they can regulate firearms. In both cases, the Court majority – following an “originalist” philosophy – looked to history to support their conclusions. In particular, the McDonald court focused on the Reconstruction period immediately following the Civil War. During this violent and tumultuous period, African-Americans were systematically disarmed and prevented from adequately defending themselves against a hostile white population, as the Court documents. Dissenting justices took issue with the majority’s interpretation of history and the law. “The Court hinges its entire decision on one mode of intellectual history, culling selected pronouncements and enactments from the 18th and 19th centuries to ascertain what Americans thought about firearms ... It is not the role of federal judges to be amateur historians,” wrote Justice John Paul Stevens. Read the rest of this article on SageLaw. 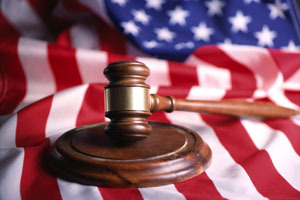 SageLaw.us is the successor site to WebSage.us. SageLaw features content and analysis on the First Amendment, the Second Amendment and the Fourth Amendment. See more at www.sagelaw.us.